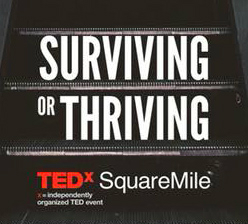 We are contented to say that we are official partners with TEDx Square Mile’s even called “Surviving or Thriving”. We will be doing live printing sessions for the audience to observe how we create our tote bags, and fabrics. This event will take place March 9th 2019.